Now Hiring. The Serious & Worrisome Shortage of Mechanics. Now Hiring. 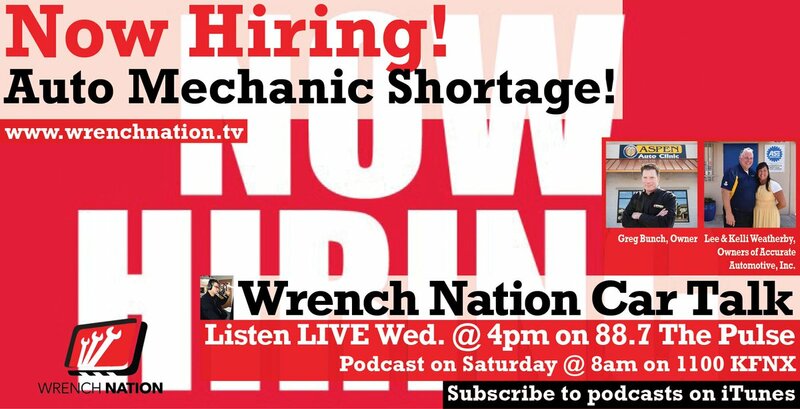 The Serious & Worrisome Shortage of Mechanics. The shocking truth of an ugly history and how we can undo the past . The chronic shortage and why the industry fell asleep promoting in bay culture IN THE PAST. The lack of culture and gratitude over the last several generations may have contributed greatly to the dilemma. The innovative programs currently in place to tackle the shortage. Investing in tools. A large personal investment. –Are future technicians excited about this? Innovative ways to manage tool expense. How to handle the complexity of cars and trucks that are growing faster than the technicians ability to handle it. In bay virtual assistance. Will the future of artificial intelligence help –Bosch in Bay Assistance -Charlie. The reality of societal pressure to go to college and the forgotten trades huge demand. Parents ashamed or worried. An unproud Uncle who was a mechanic refuses to let his niece and nephew become a wrench. What is so different today and how do we change image. The incredible training and knowledge required to service modern day vehicles.